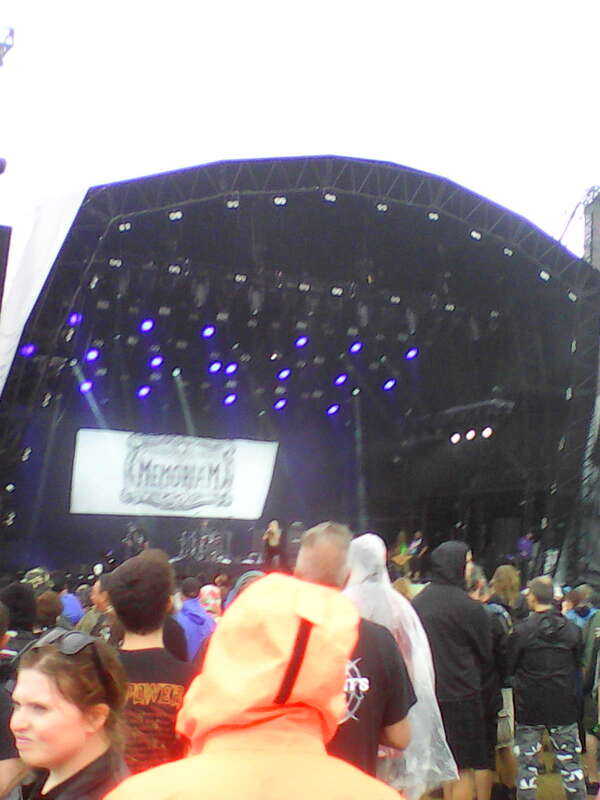 Even having a crap night’s sleep the previous evening didn’t dent my enthusiasm for the first full day at Bloodstock. We started with a hardy bbq breakfast because we couldn’t have one the evening before on account of the waiting to get in and the brief rain. Therefore, we had it in the morning. After a breakfast of champions like that, which was washed down with beer, we decided to head for the arena. Keeping with my established tradition, I made it a point to be present for the very first band out on the Ronnie James Dio Stage. That band happened be British punk band Feed The Rhino. 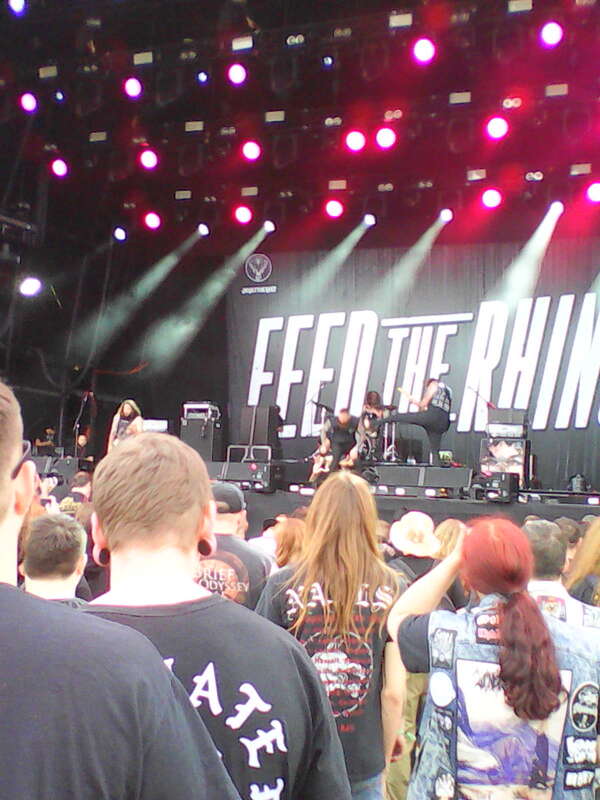 If there is a textbook on how the opening band of a festival should act, then Feed The Rhino followed it to the letter. They exploded on stage at 300 mph with a song that grabs you by the throat and makes you listen to it nor did any of that energy dissipate after the first song. 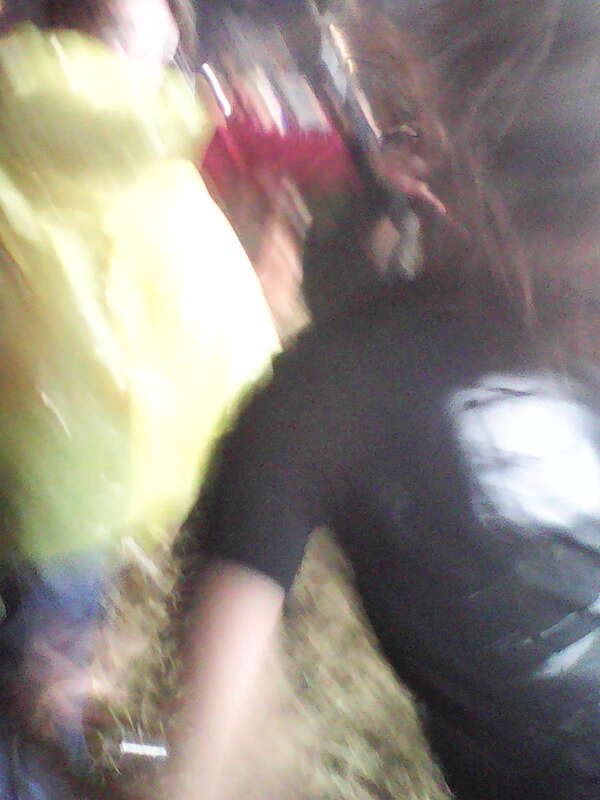 However, some purists may argue that the band broke protocol by organizing a mosh pit and then a wall of death. Whoever said opening bands weren’t allowed to do that? 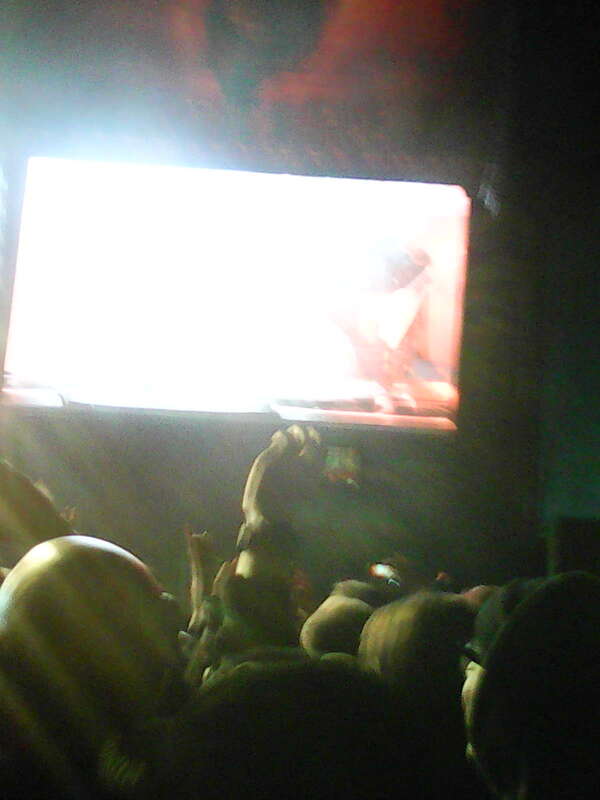 Especially when the lead singer, Lee Tobin, did a little crowd surf towards the wall. It was amazing and when they left, which was too soon, Feed The Rhino had set the mood not just for the day but for the entire weekend! In spite of the fact that I had seen and heard three bands I had never heard of previously who totally blew me away, I still went to the New Blood Stage to seek out more. Playing at my arrival was the band Garshkott. While they weren’t bad, their sound was in the vein of Feed The Rhino and Bloodshot Dawn, and I wouldn’t be surprised if they were ever signed, in my mind, they didn’t measure up to the two bands I have just mentioned. Then again, those two bands set the bar astronomically high. 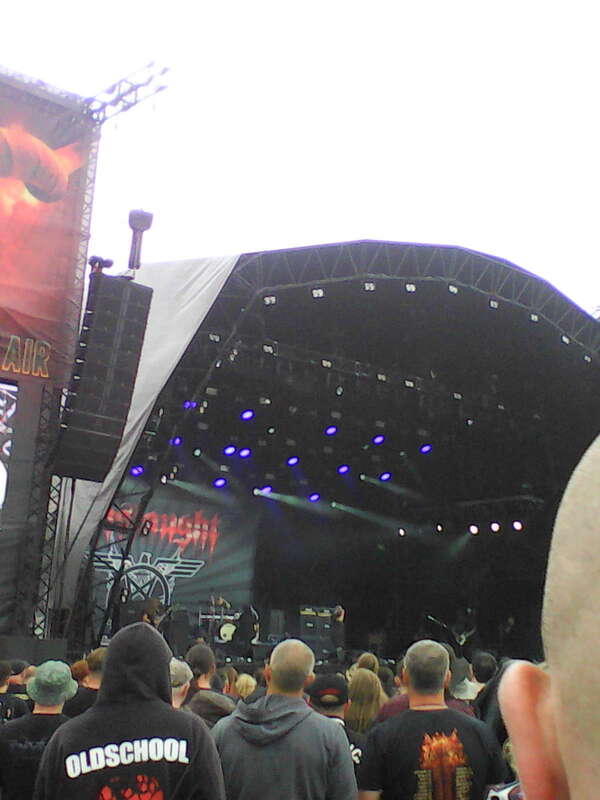 Heading back to the RJD Stage, I thought I should see Onslaught. 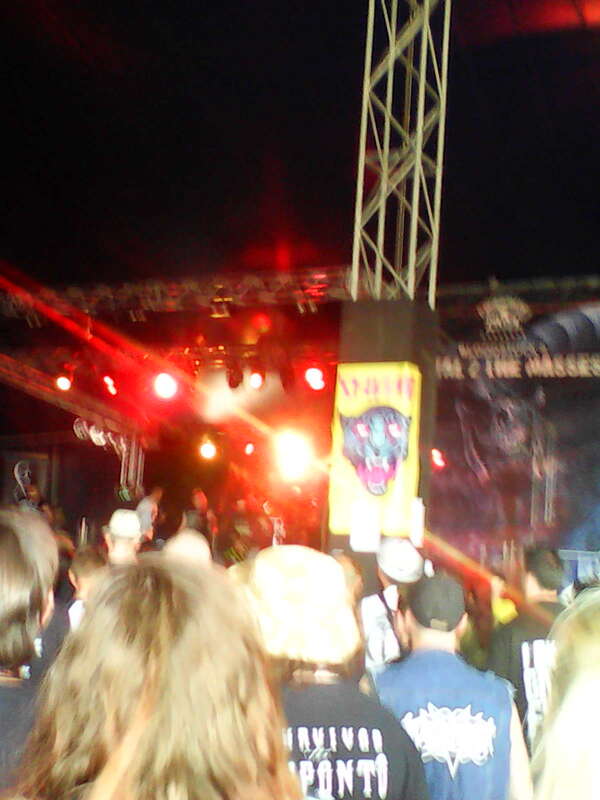 I had seen them at my first Bloodstock in 2010 but I didn’t remember anything about them. Seeing them again, I remember why I didn’t remember them, there’s really nothing about them to remember. While their music was okay and I have since discovered from Youtube that their recorded material sounds pretty good, they just didn’t do anything for me when I’ve seen them live. 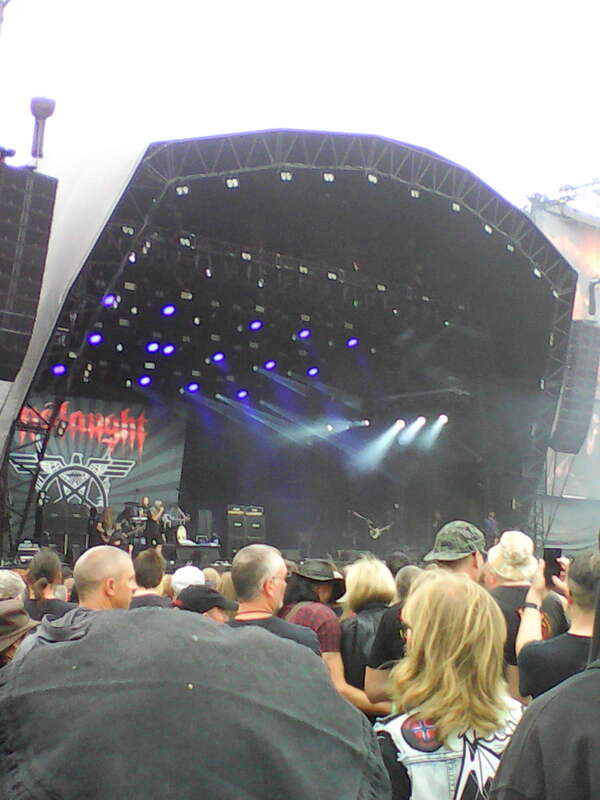 The uneventfulness of Onslaught meant that when the rains came down in the final minutes of their set, I fled for cover. The closest was the New Blood Stage. Providing the entertainment in my new found refuge was Democratus. They weren’t thrash but good solid metal. 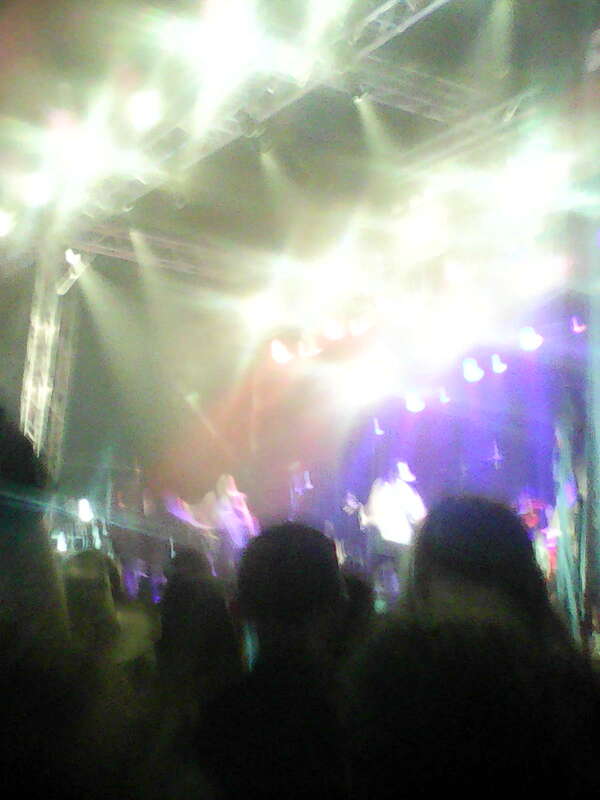 The singer did a great job in getting those in the tent to sing along. He would sing out, “Is this what you call?” and the audience, me included, would shout back, “Democracy!” Very relevant at the moment and I thought they were pretty good. If I was a scout, I would have signed them before the previous unsigned band on the day. Still raining down in buckets outside, I decided to stay in the New Blood Tent to remain dry. 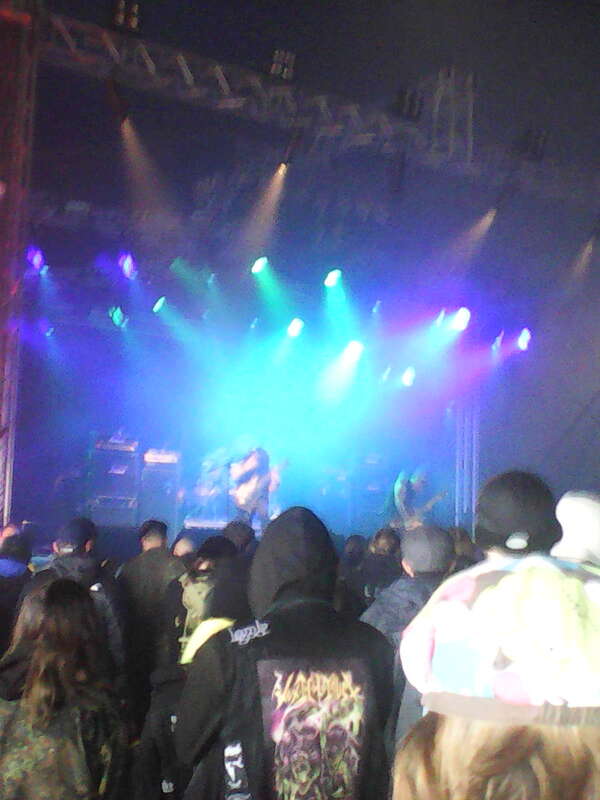 It turned out to be the will of the metal gods because coming on stage next was Vulgore. Of the three unsigned bands I had seen so far, these guys were the best. 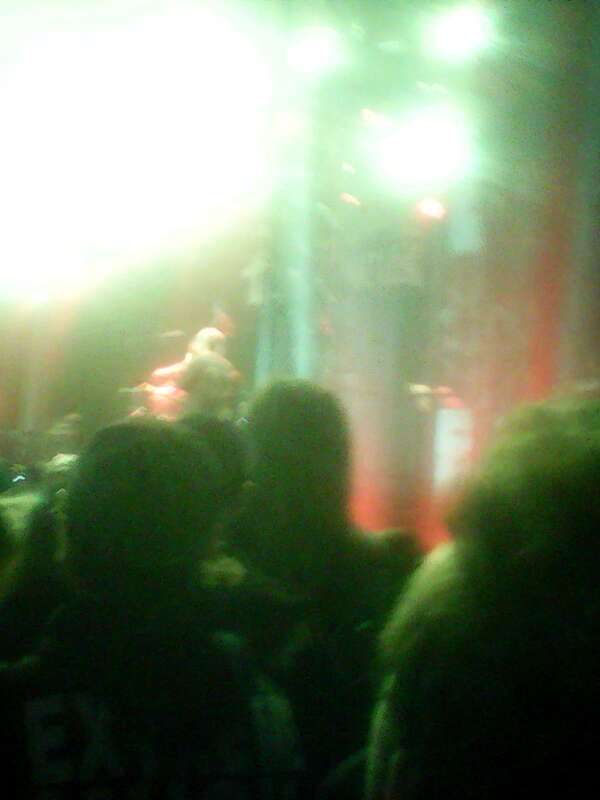 Their music was loud and brash but the guitarist could shred a little too. 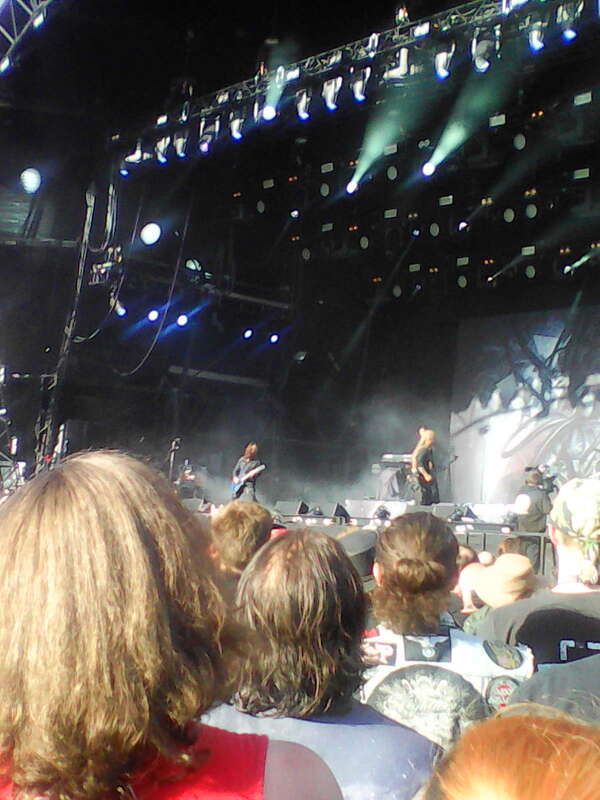 Still, their music is not for the faint hearted. They announced they have an EP coming out titled “Bliss.” I might have to hunt this one down. Vulgore made the rain stop, so after their departure, I headed outside. 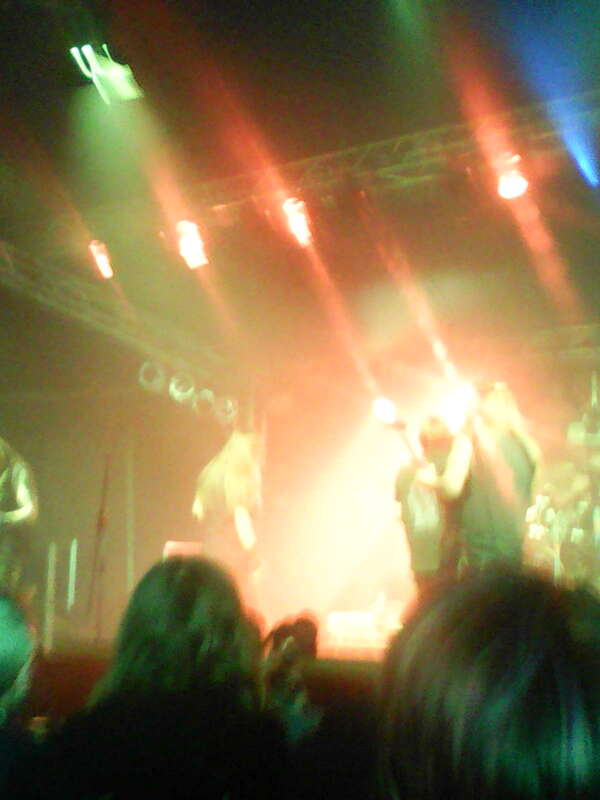 On the Dio Stage at the time was Memoriam. I only caught the last two songs from their set but they sounded all right. Plus, I noticed that the lead singer’s hair probably made many ladies jealous. 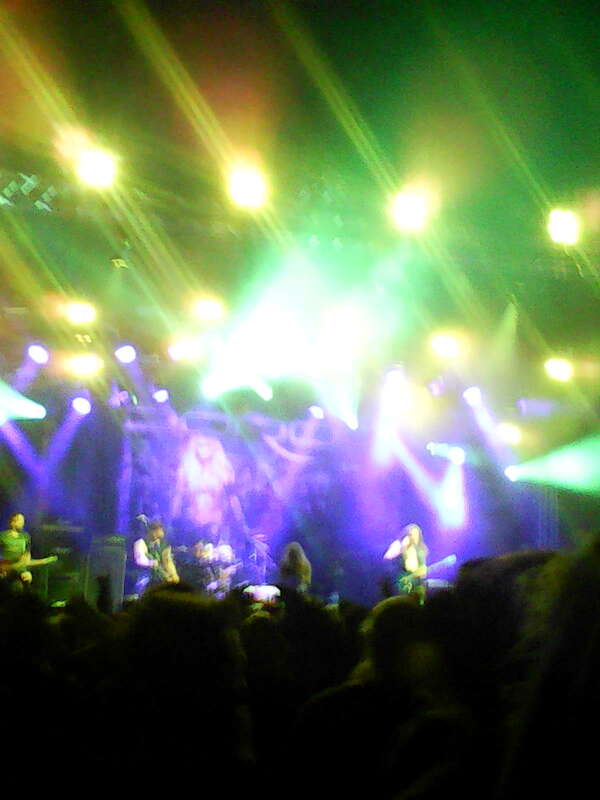 Memoriam, but this photo doesn’t show the singer’s hair properly. 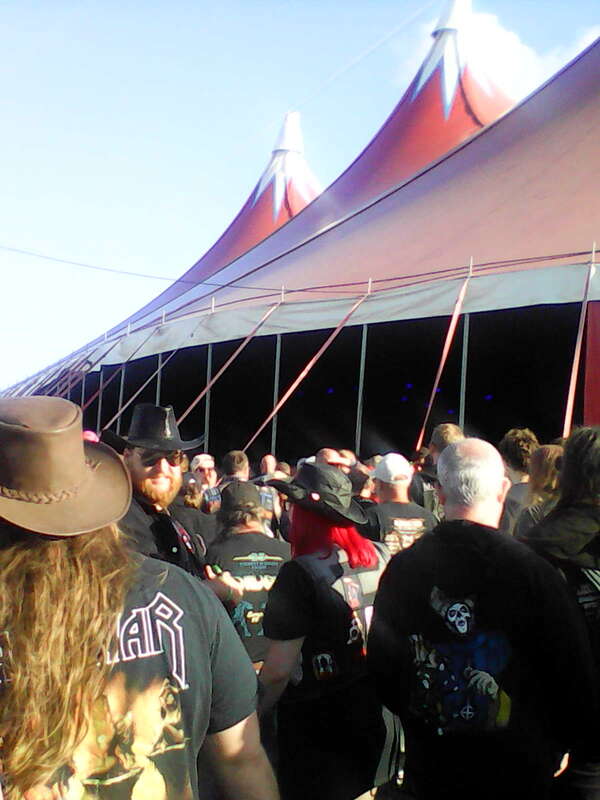 Still looking for the music, I headed for the Sophie Lancaster Stage where I was treated to the doom metal sounds of Godthrymm. This trio was doom metal in the true sense of the word, even more than Black Sabbath. Most of the songs were about death. I remember one lyric, “Oh God, you lost your only son,” I think that explains a lot. Guitarist hammered out some good solos and he shared the lead vocal duties with the bassist. Godthrymm proved a great change of pace on the day. 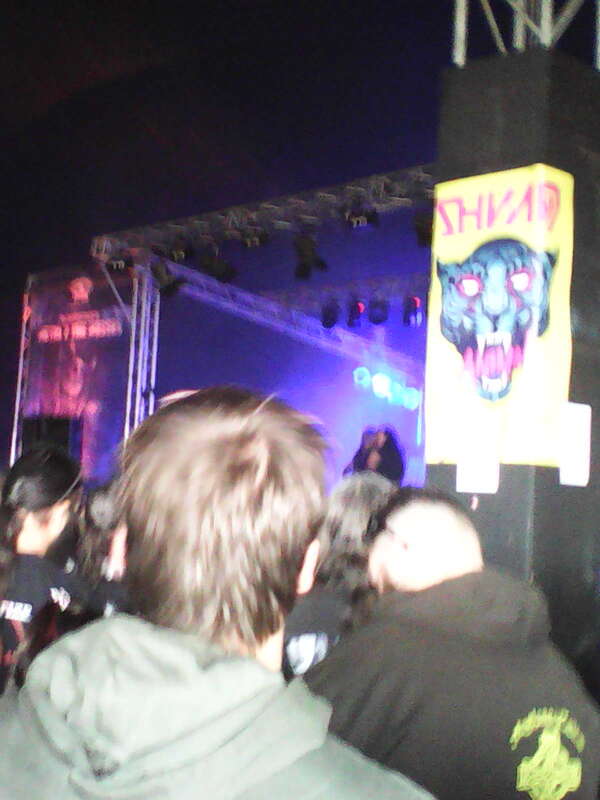 After a brief but necessary break, I returned to the Ronnie James Dio Stage for the first band I truly wanted to see. 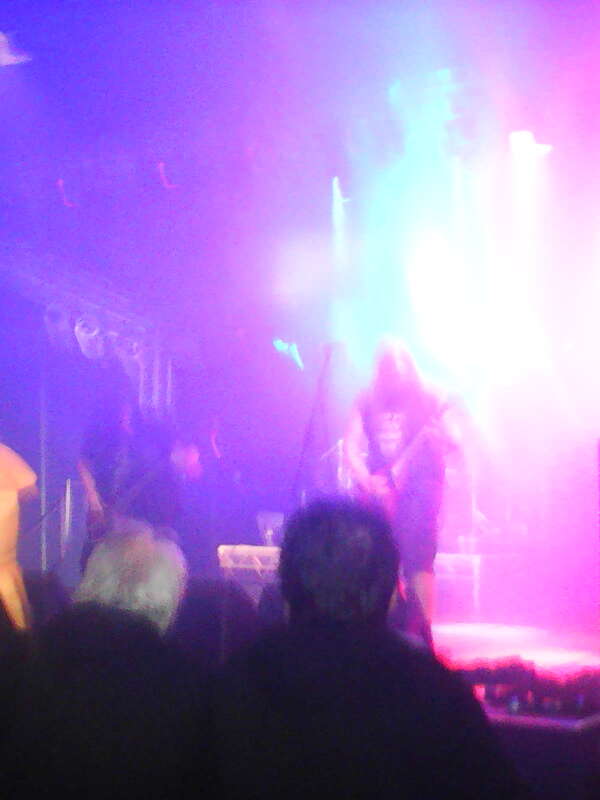 Before that band came out, I caught the last few minutes of Swedish death metal band Bloodbath. They sounded okay and I was amused at the shirtless guitar player whose torso was covered in fake blood. Then came the big bombshell. 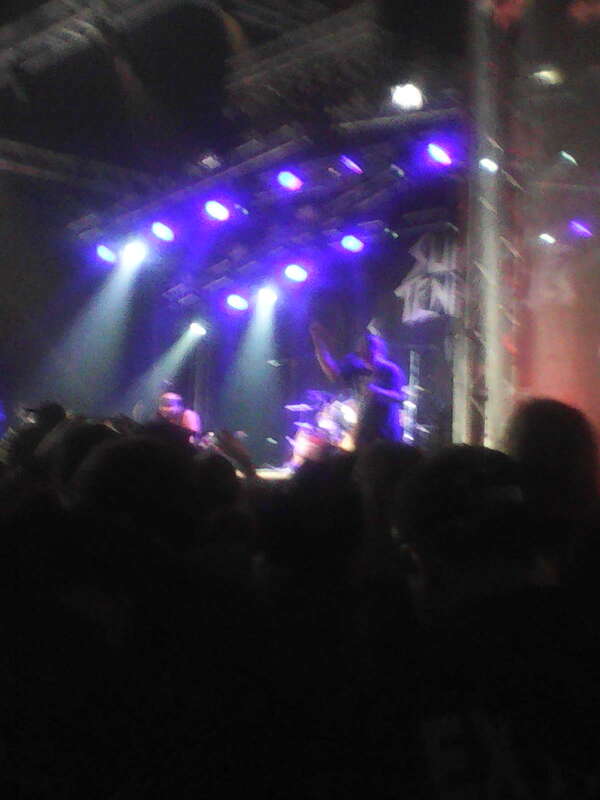 It was announced that Suicidal Tendencies were running late and wouldn’t be up next. They were re-scheduled to play at the Sophie Lancaster Stage two hours later. I had caught up with Teal and Joe and we decided to get some dinner. I kind of regret this in hindsight because swapping places with ST was the all female death metal Japanese band Love Bites. I heard they were really good and I’m liking what I’m hearing thus far. Oh well, I’ll put a song of theirs in tribute. Returning from our late afternoon bbq, I followed Teal’s suggestion that I go with him to check out prog metal band, Kamelot. Full marks to his wisdom here because I thoroughly enjoyed them. I was duly impressed with the guitar work of Thomas Youngblood but I won’t take anything away from the rest of this band, they’re that good. They brought a female singer on for a few songs as well which made them more diverse. Let’s say I was very impressed. 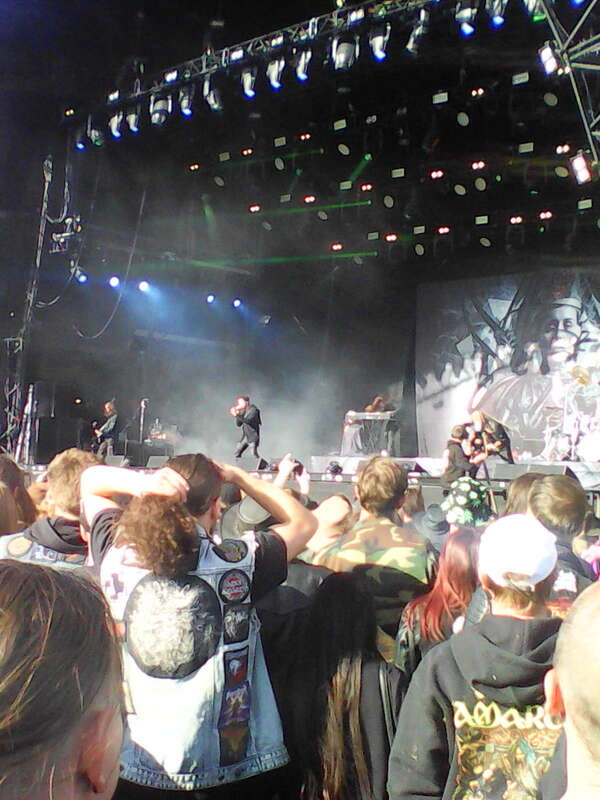 Instead of Kamelot following Suicidal Tendencies, we had Suicidal Tendencies following Kamelot. Which way around didn’t matter as we joined the throng heading for the Sophie Lancaster Stage. There was talk that the sheer weight of numbers in ST fans would knock the Sophie Tent off its foundations. Suicidal Tendencies exploded onto the stage with “Don’t Bring Me Down.” Almost immediately, Mike Muir had the crowd in his hand with everyone singing the chorus. The band darted around stage and Mike did his little dance. It seemed that the opening song might go for the entire set because every time it sounded like it would end, the band would pick it up again. When the song did end, the audience was screaming their appreciation. Afterwards, they played songs “I Shot the Devil,” The War in My Head” and “Subliminal.” When they played the “Skater’s Song,” Mike announced that the band had been inducted into the Skater’s Hall of Fame. A young boy was brought up to play drums along side of Dave Lombardo for one song and they also let a man in a wheelchair onto the stage. ST are definitely a class act! In between songs, Mike talked about not letting things get you down. His advice was to “Get up, stand up for yourself and you will be the person you want to be.” Great words of wisdom. 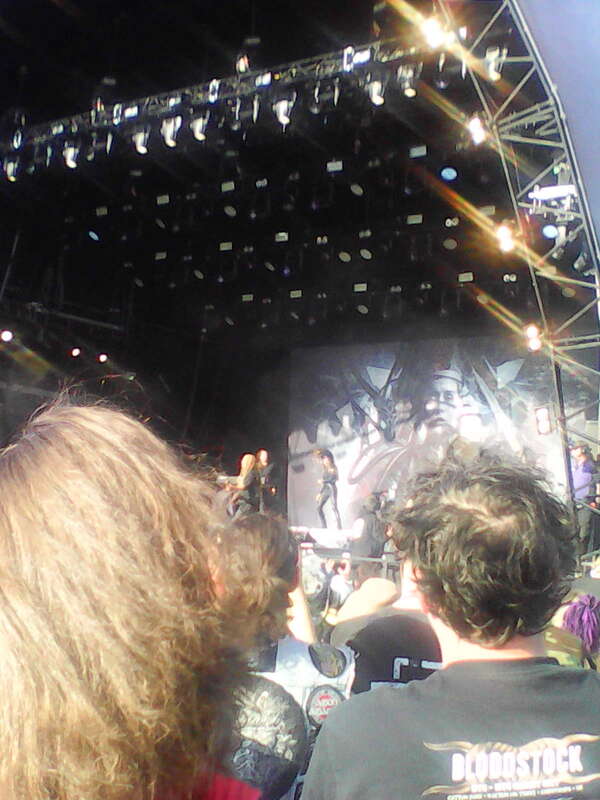 When they left, the crowd was on a major high and it was also announced that it had been the largest crowd the Sophie Lancaster Stage ever had. 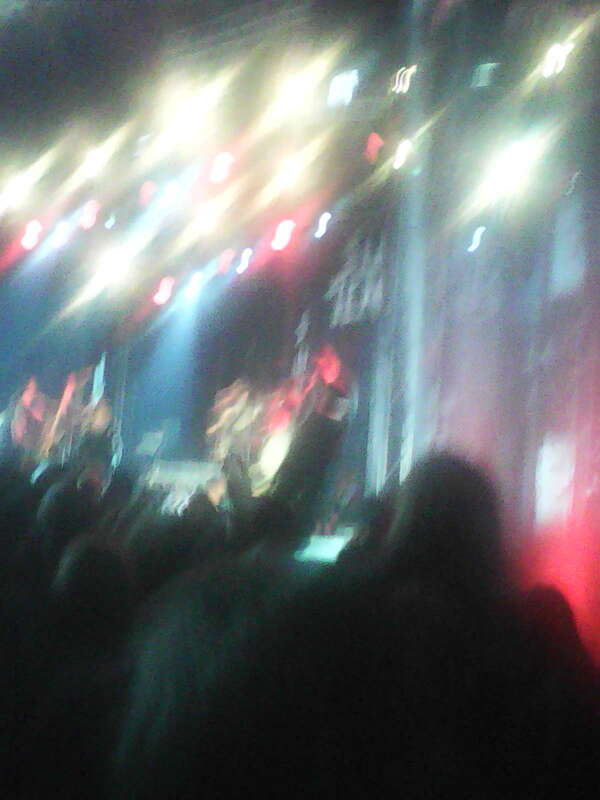 They were phenomenal and like Teal converting me to Kamelot, I converted him to ST. 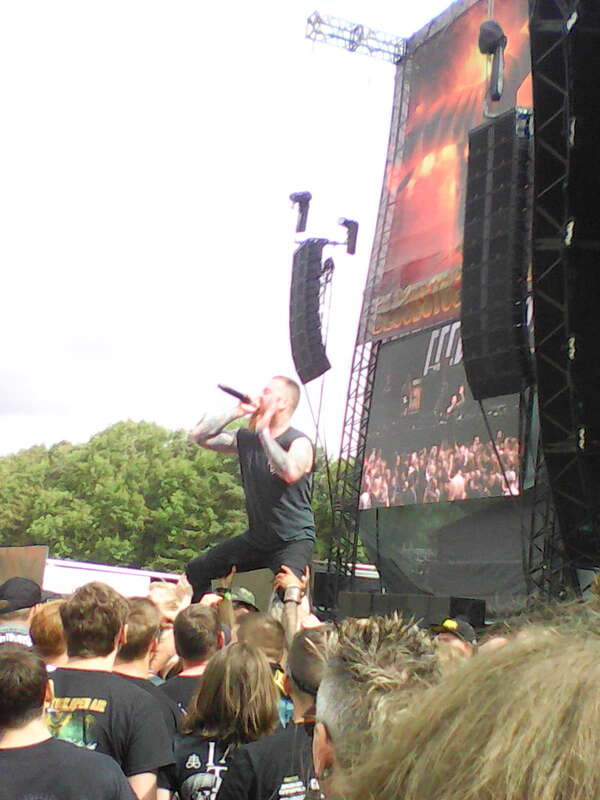 It didn’t even matter that they didn’t play my two favourite songs again nor the fact that they pretty much played the same set they had at Download last year. Guitarist Dean Pleasants can still jam. 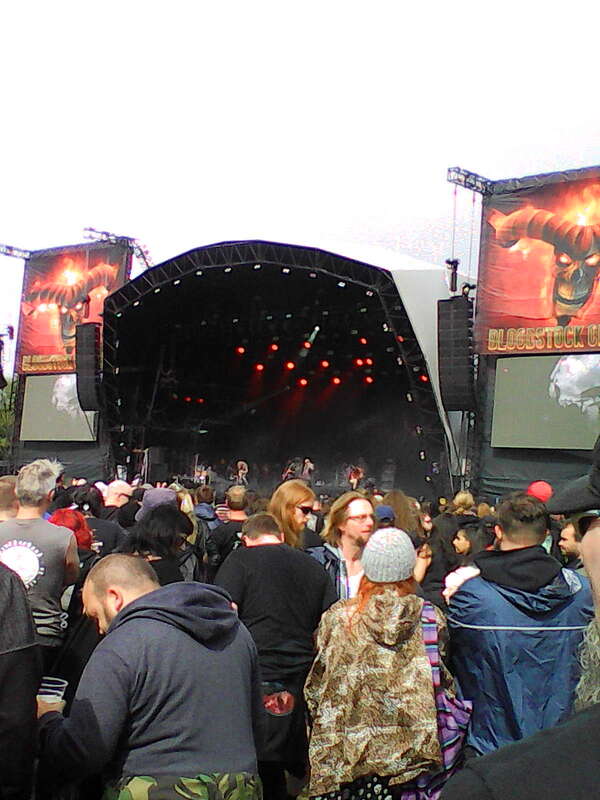 After feeding my face some more, we all headed back to the Ronnie James Dio Stage for the main even, Judas Priest. They had a massive stage set up with what looked like cacti which lit up on the wall behind. 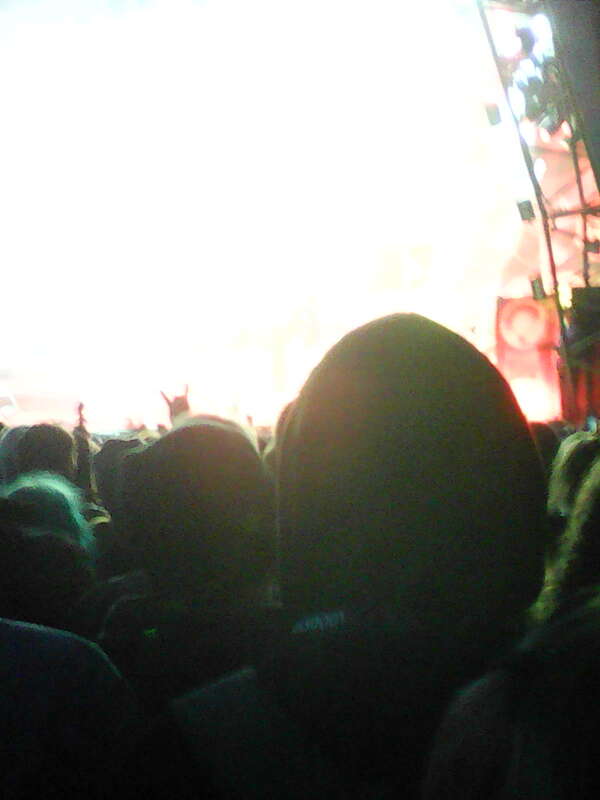 When the band came out, Rob Halford looked like a bent over old man but he quickly straightened up when they started playing. They opened with “Fire Power” and played two more songs from the album. It was the fourth song that was the big thrill for me when they revealed their all time hidden gem, “The Ripper.” I think I was the only one in the crowd who went absolutely nuts at it. Both Teal and some young lady in front of me both stated, “You’re excited about this song.” Next, they revealed that it was the 40th anniversary of their “Stained Glass” album where they played “Saints in Hell” as a tribute. Other Priest greats included “Turbo Lover” and “Freewheel Burning.” While Rob was the great show man he has always been for more than four decades, I was impressed with guitarists Richie Faulkner. He seems to have learned from his mentors and if the band was to continue, he is more than capable to carry them on. Scott Travis was pretty cool too and I loved how he and Richie traded solos. Things seemed to end with an extended version of “You Got Another Thing Comin'” and “Painkiller,” both drawing large cheers from the crowd. But Judas Priest weren’t done. Obviously, there would be an encore and that’s when they sprung a surprise. 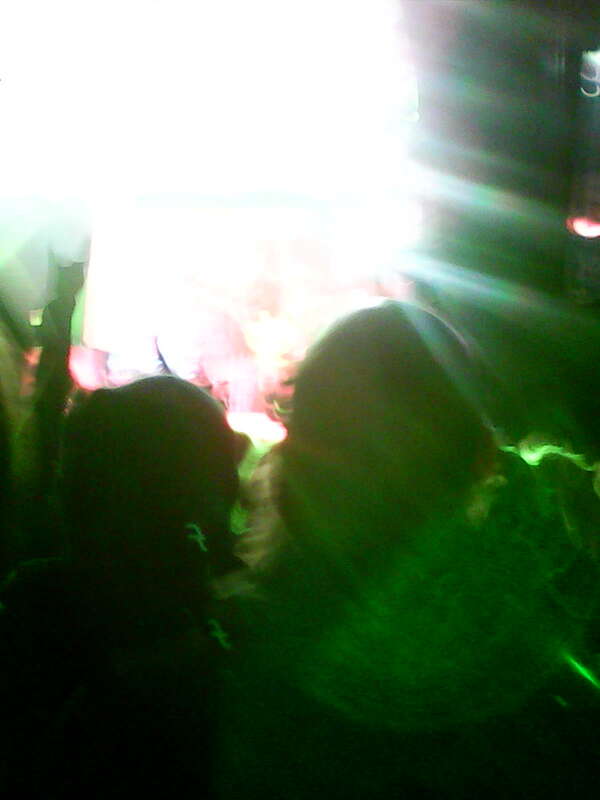 Glenn Tipton came out to play with them for the four encore songs. He did look a little frail and Rob kept coming over to him but he stayed the course. He even played a solo on the closing song, “Living After Midnight” which followed on from “Breaking the Law.” When the mighty Priest did leave, it was to much adulation and a brief but cool fireworks display. 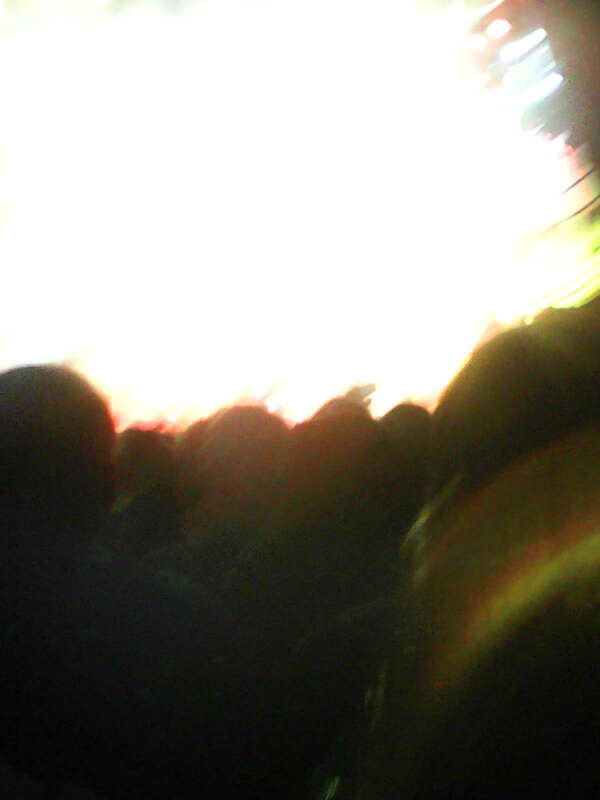 Even taking a photo of the big screen didn’t work. Teal and Joe called it a night but I had one more act to watch. 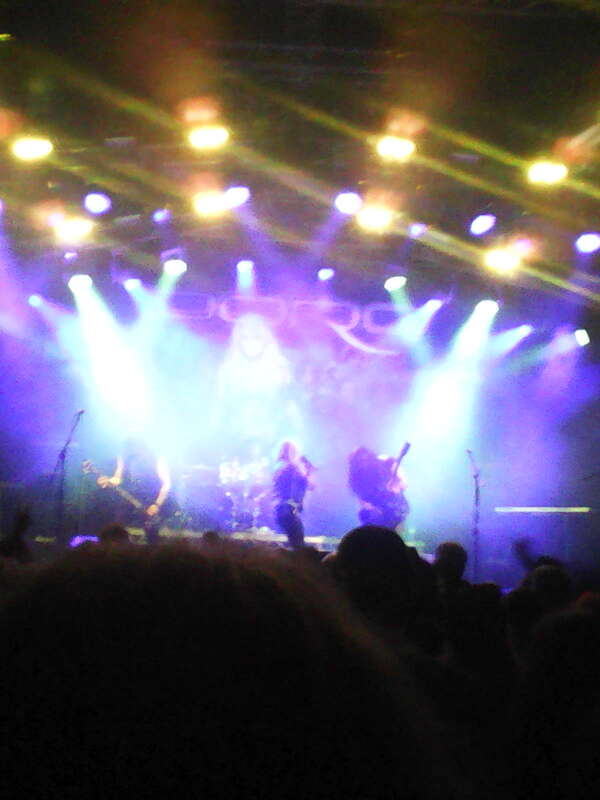 As soon as Judas Priest was finished, I high tailed it over to the Sophie Lancaster Stage to catch Doro. My timing was perfect because as I entered the tent, she was performing one of my favourites, “I Rule the Ruins.” That wasn’t the only one she treated me to, a few songs later, I got to hear “East Meets West,” where she brought out a former guitarist Tommy Bowen. 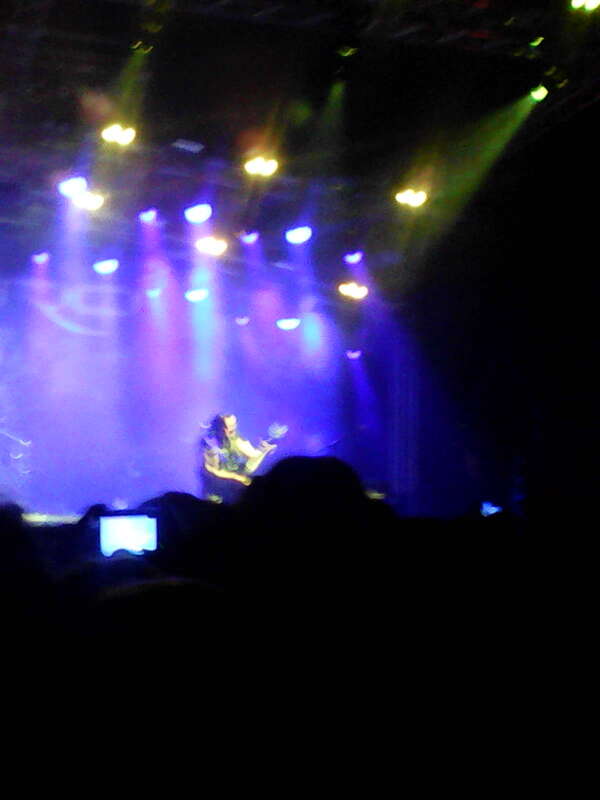 Therefore, for the rest of her show, she had a three guitar attack behind her. Sounded real good when she played “Burning the Witches.” Doro engaged the audience really well throughout and while her light show was nothing like Priest, it was still pretty cool. “All We Are” got the crowd really going and it carried on until she left the stage. 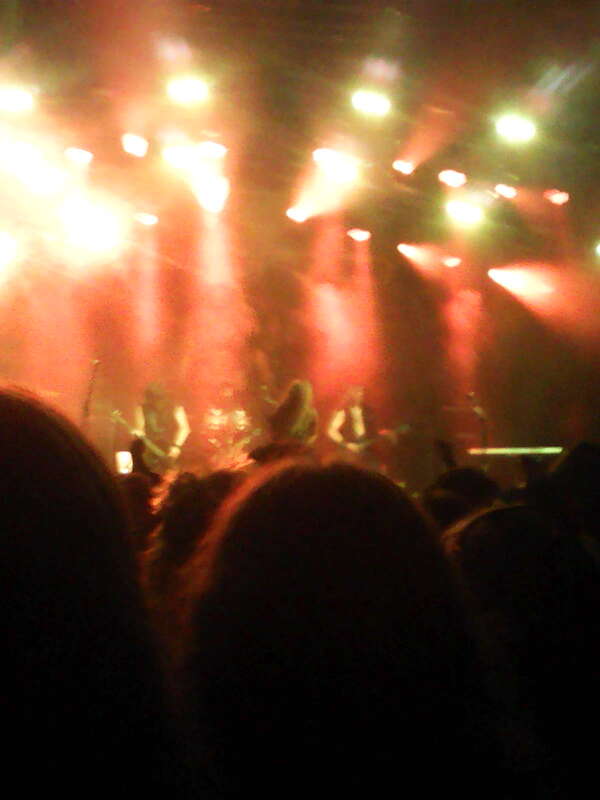 When she came back out, Doro asked the audience what song they would like. I was too far away so she couldn’t hear me calling out for “I’ll Make It On My Own,” so she said, since nobody came forth with a song, she’d pick one, which she did. A second song was asked for and she picked one from a young lady in the front and that’s how the night ended, with loads of bows and “thank yous” before leaving. It was a great way to end the first day! 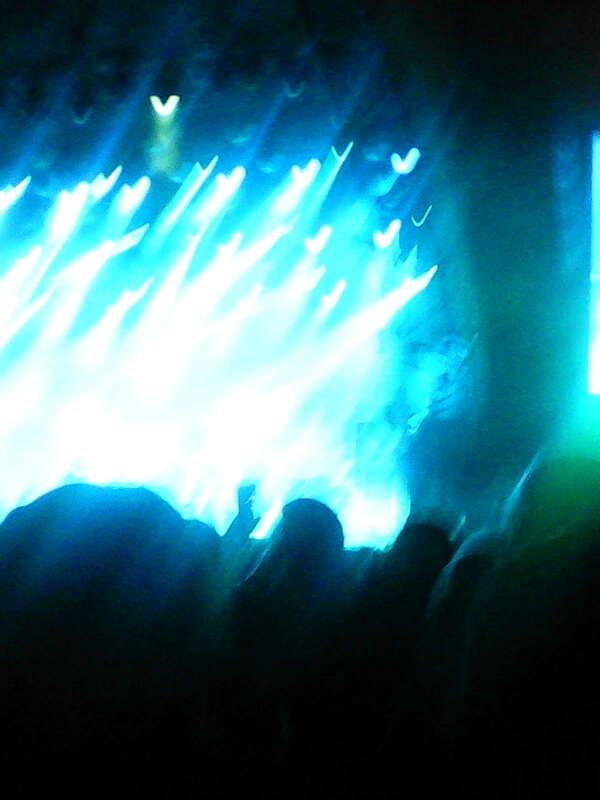 Note: You may have noticed that I haven’t posted songs from every band I saw. I thought to do it with the ones I had never heard of before and now you have.